Apologies to anyone receiving an earlier notification of this piece being published. A mis-click on my part. 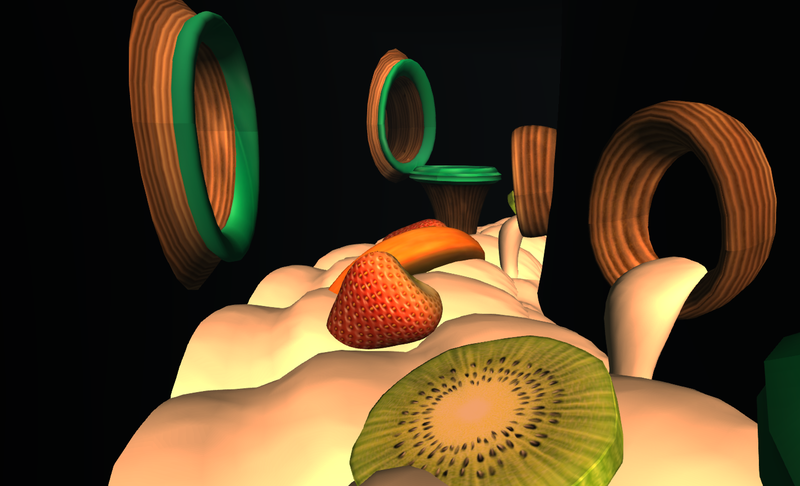 Straddling the four regions of SL10B Astound, Enchant, Fascinate and Pizzazz, the SL10BCC cake stage is, as is the tradition, huge. A very organic design by Donpatchy Dagostino, it offers wealth od detail which has already kept photographers across SL very busy – as can be witnessed via the SL10BCC Flickr group. If I’m completely honest, I much prefer this year’s design over that of SL9B; it is attractive and draws one in to it in a very natural way. As such, it forms an eye-catching centrepiece to the celebration regions which forms the perfect backdrop for photos of other exhibits or for shots across the sims themselves. Inside the build is a wealth of detail, including the dance floor itself and, suspended above it, a very delicious-looking birthday cake! I’ve covered Bobbekins a couple of time in this blog, and it is great to see them participating in SL10BCC. For those not in the know, Bobbekins World is a series of children’s e-books which use advanced animation and combine video, music and still images of cute little characters called Bobbekins, which are created using a range of media – including Second Life. 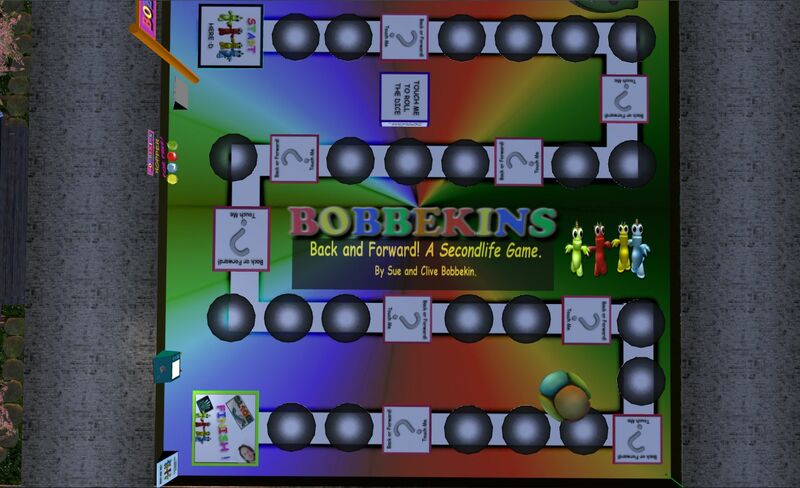 The Bobbekins Game is a fun piece which helps promote the project (which is something worthy of this kind of promotion) in an interactive and entertaining way. Definitely not one to be missed when exploring SL10BCC in a small group. Just grab a space hopper, click “roll dice” and off you go! 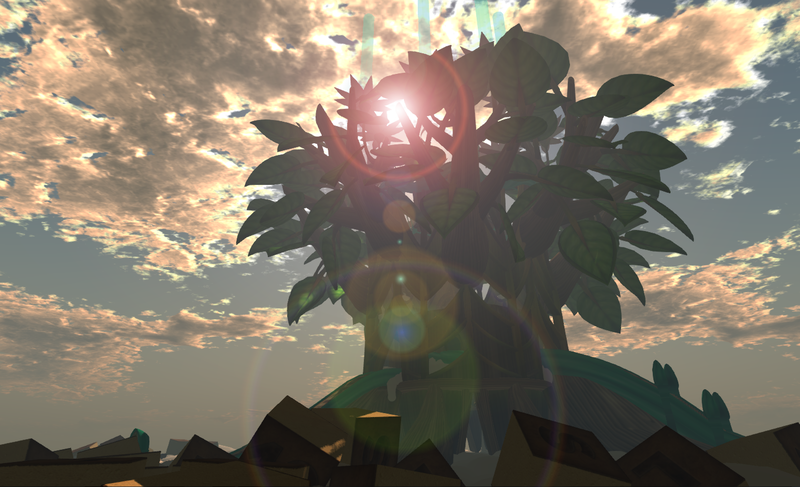 Don’t forget to click the info givers as well to discover more about Bobbekins World. While we’re all out celebrating Second Life, parting, looking back over the past and looking forward to the future, it’s easy to overlook the very thing which, next to the viewer itself, really allows us to enjoy SL in all its forms and which gives us the real power of personal self-expression in-world: our avatar. Gravie Garzo fixes that with a clean, easy-on-the-eye exhibit which takes us right from the beginning of things (a pre-animate blob!) to the Primitar, and then steps us through the various stages of SL avatar evolution to the modern full-body mesh avatars of today, now complete with added materials chewiness! It’s a light-hearted but clever piece which serves to remind us, all grumblings aside as to the underlying faults with the basic design, just how our avatar has actually evolved, and how it has tended to keep pace with other aspects of SL’s evolution. 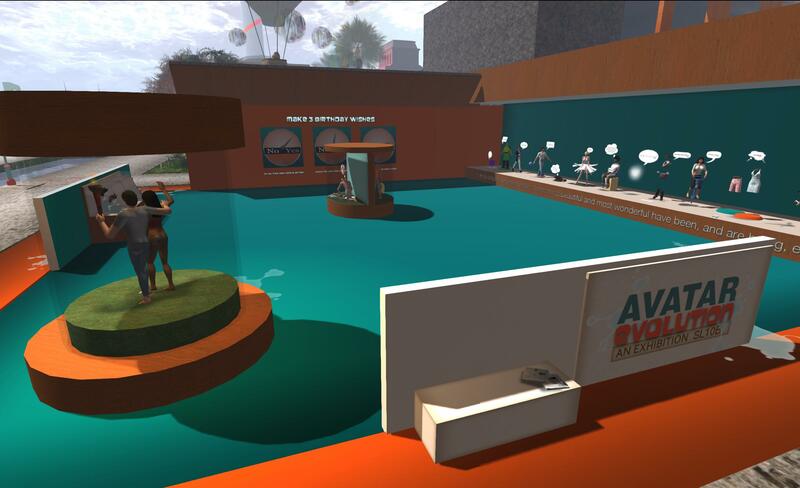 Th exhibit also offers you the chance to take part in the avatar parade, and complete three little polls about SL and the avatar, and collect a boxes of goodies which includes your own Primitar action figure (yes, I’m aware the real thing can be obtained elsewhere in SL but – it’s an action figure collectible! who could pass-up on that? :D). 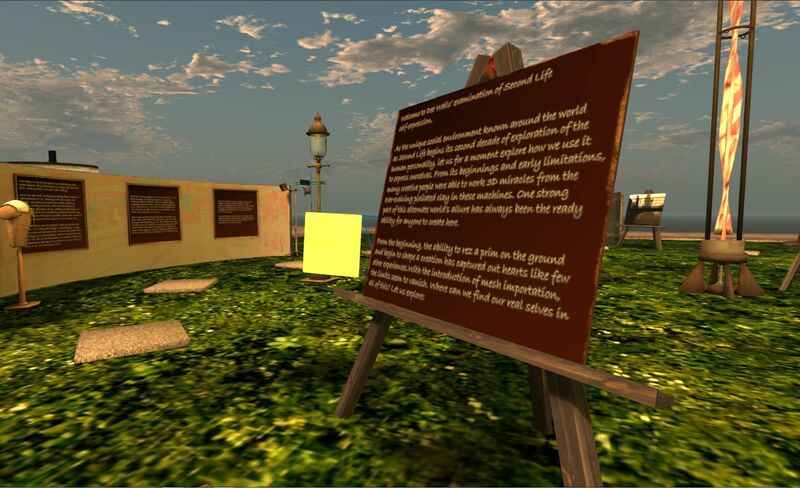 Staying with self-expression in SL, I’ve also included Dee Wells’ piece in my picks, which is another of those very low-key exhibits which can be easily overlooked. 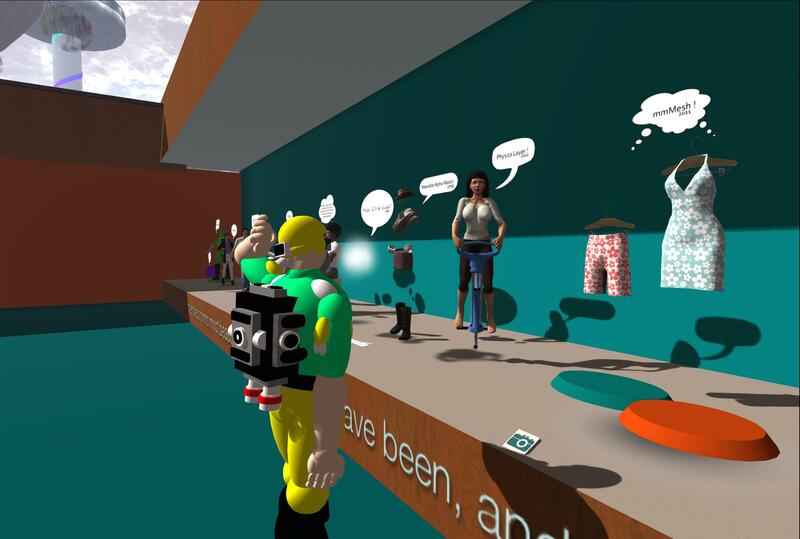 In her piece, Dee examines our relationship with Second Life and how it enables us to express different aspects of our personalities and / or discover new means of self-expression through mediums of SL creativity, role-play, art, and so on. Concepts and idea are presented on a number of text boards, which might put some off the exhibit (particularly if English is not your native language), but the ideas discussed make for informed, thought-provoking reading. As mentioned above, this is a low-key exhibit which presents a lot in an easy-to-follow format without feeling the need to blast you with colour or building a veritable tower of Babel into the skies – something two or three other exhibitors on the same region could do well to emulate. 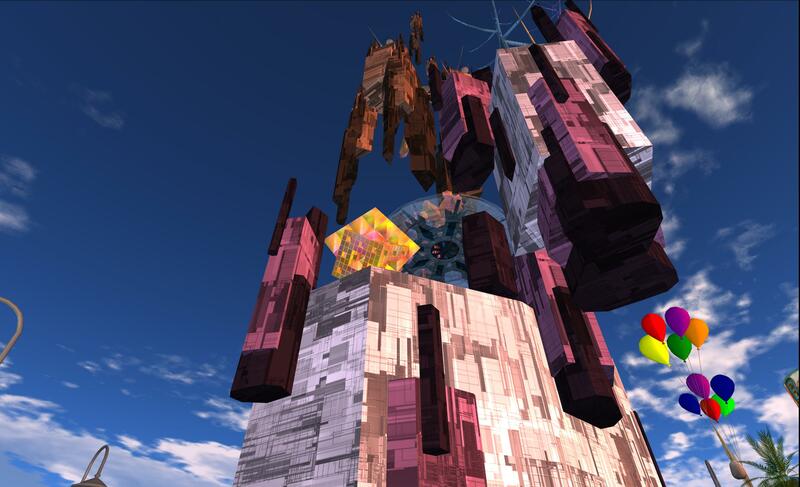 Fractals are clearly something which fascinate Ares32, and together fractals and Mandelbrot sets have been the focus of art in SL for a long time, and the LEA recently feature them in an exhibition, as covered by Ziki Questi. 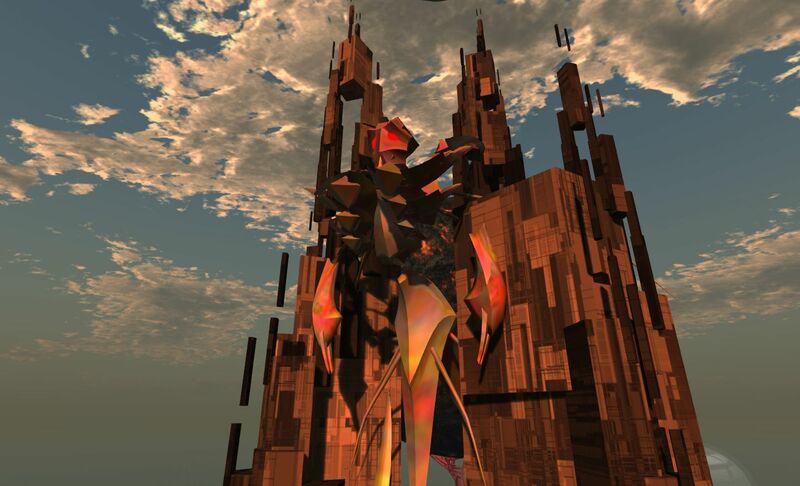 In this piece, Ares32 looks at the history of fractal geometry in art and Second Life, progressing from 2D images (underwater) through to 3D sculptures themselves textured with fractals, which are displayed in various levels of the tower, culminating in “The Sentient”, a fractal collage representing the future of virtual worlds. The fractal sculptures in the build are free to take, and form decorative pieces in their own right. I found this a fascinating piece, and another demonstration of how, if you must build tall, make height part and parcel of your overall design, rather than simply thrusting up into the sky because you can. If you’re into mathematics as art, then make sure you pay a visit, and find out more about this piece by reading the Watchtower Iteration blog. “Mesh, eh? 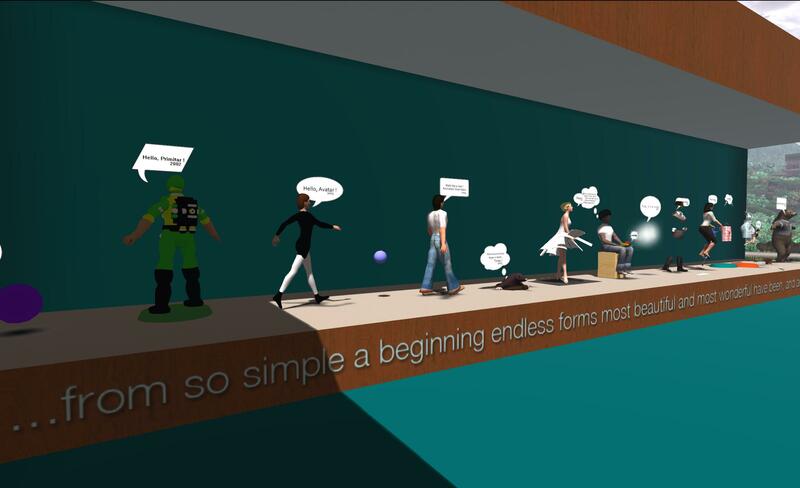 But will it deform to my shape?” – having a little fun at Garvie’s exhibit! It’s a fun and original piece which fits the theme – exactly what I’m looking for :). I confess, I also had fun twitting around with my Primitar on the stand as well :).